We’re excited to see one of three electric truck startups announcing a public event at Arizona’s WestWorld, which we’ll cover in April 2019. The company, Nikola Motor Company, is an interesting young one that is already accustomed to controversy. If you haven’t heard about Nikola Motor Company, well, you just need to read CleanTechnica more often. 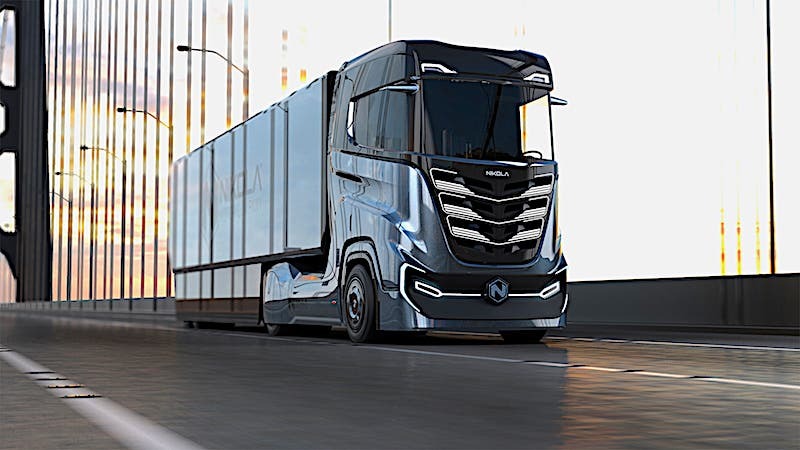 But humor apart, Nikola Motor Company is one of the three startups seemingly in the fight for an industry-leading position in the electric semi truck business. The other two are Tesla and Thor Trucks, both present at the 2018 LA Automobility 2018 and both battery electric vehicles. Of these three startups, Nikola Motor is the only one making a strong case for hydrogen electric trucks. Its Nikola One, Nikola Two, and Nikola Tre. The One and Two will be available in North and South America, and in the Tre in Australia. The hydrogen electric trucks have up to 2,000 lb-ft of torque and 1,000 hp (roughly 746 kW), 500 to 1000 miles of range, and only take 20 minutes to refill. 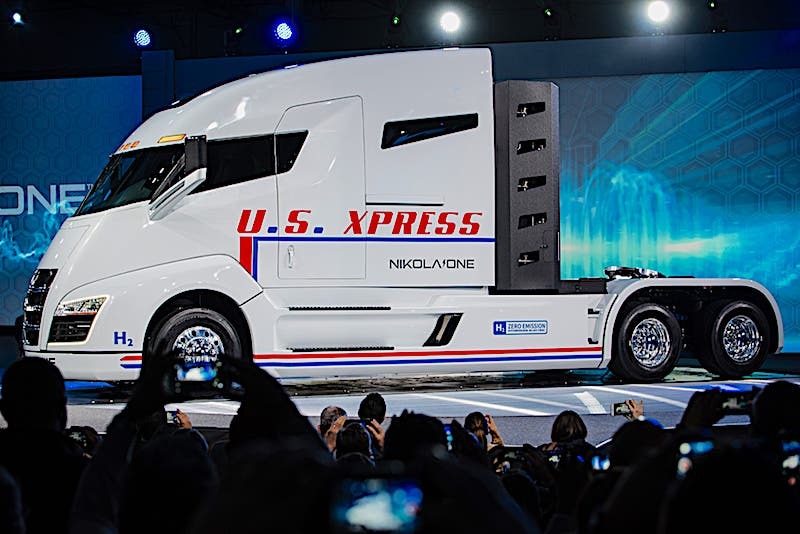 Nikola Motor Company chose Nel ASA for its hydrogen network, which needs to cover over 2,000 miles via at least 16 hydrogen stations. Nikola Motor also chose Ryder System for its sales, service, and warranty. Ryder System has 800 locations across North America alone. 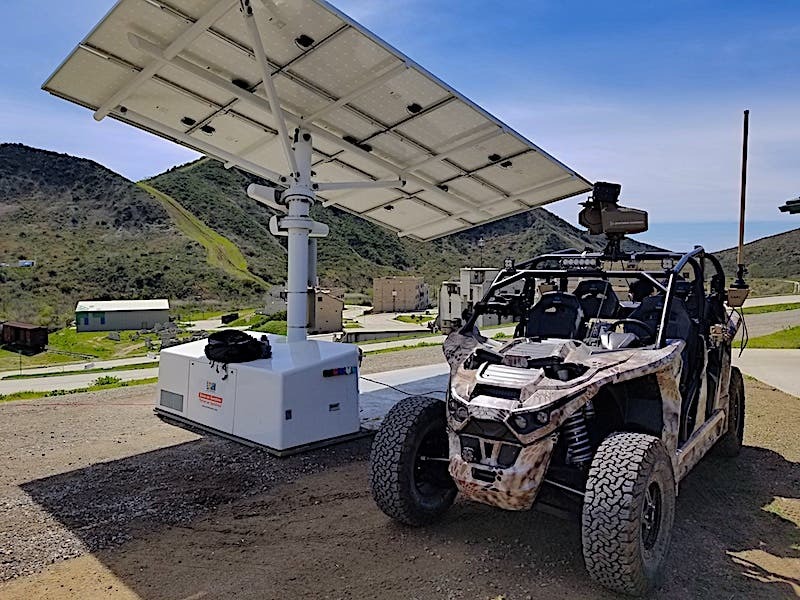 The company also offers a few other electric vehicles (EV) that are more geared toward the outdoors and off-road space. Is Nikola Motor Making Sense of Hydrogen Fuel Cells? To hydrogen or not to hydrogen — has there ever been a more debatable topic in the vehicle world than that of hydrogen fuel cells’ role in our future? Probably not. Using hydrogen as an energy source or medium is a complicated subject to write about objectively. Using hydrogen through a fuel cell for personal mobility is a difficult topic since many obstacles and barriers haven’t been removed for mass adoption. From well to wheel, hydrogen mobility poses many challenges — from production to building a distribution network — also means using complex fuel cell stacks that still need servicing and dreaded fuel pump trips. Sadly, hydrogen at the fuel pump hasn’t made a winning argument either, as its price still hovers just slightly below that of gasoline, at least in the US. Although hydrogen can be made in a clean and renewable ways, it is still mostly a by-product of petroleum refineries, something many environmentalists complain about. NASA burns hydrogen for a good reason. As an energy source, hydrogen is great. Give it a spark and it will explode. That’s how companies use it to send heavy payloads into space. But the reason why the International Space Station (ISS) uses hydrogen is that it is lighter to send into space in its liquified form than it is to send heavy batteries there. Hydrogen fuel-cell can make a compelling case for the heavy truck industry. CNG networks could feasibly be modified to shunt and store that ever-pesky hydrogen molecule, thin enough to escape almost any man-made containers. The trucking industry also has more heavy industrial equipment and higher budgets at its disposal to enable long hauls. The question is just going to come down to cost in the end. When it comes to personal and private mobility, it’s difficult to make financial sense of hydrogen fuel cell vehicles once the entire equation is taken into consideration. They seem to have already passed their 15 minutes of fame. 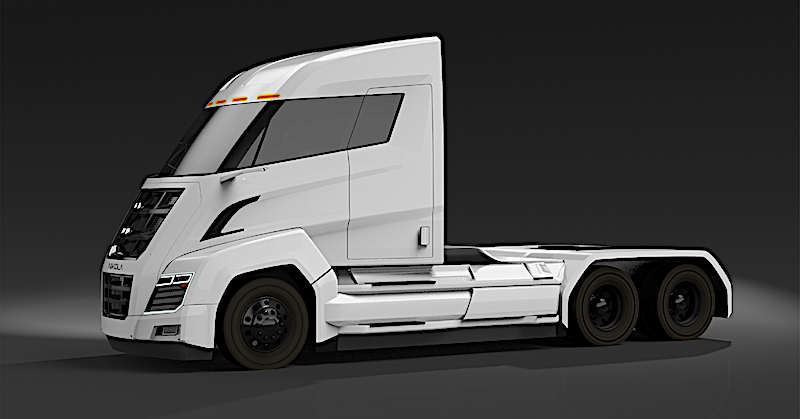 Nikola Motor Company could help the hydrogen industry focus on where it makes the most sense, with heavy-duty and long-haul trucks. This might also push carmakers to use their hydrogen fuel-cell platform research for the trucking industry. Or why not open that platform up to other OEMs with a presence in the trucking industry? Nikola Corporation is the parent company of Nikola Motor and Nikola Powersports. It has created a subsidiary called Nikola Energy Company as well, which aims to serve businesses and residents in the state of Utah. It specializes in off-grid battery solutions, solar arrays, and hydrogen production systems. In order to do that, it acquired Alternative Power Systems, Inc., a company with over 30 years experience designing and installing commercial and residential energy systems. So far, Nikola Energy Company says it has designed and installed over 50 solar energy residential and commercial systems. It aims to provide energy to those who spend just $100 to $5,000,000 in energy per month to reduce their power bills. You can read more about Nikola World here. Come and check out one of the three electric truck startups and say hi to us at the Arizonian WestWorld event if you make it.